Buone notizie! Assistente Google ora parla italiano. For those that don’t speak Italian, Good news! Google Assistant now speaks Italian. More specifically, it speaks Italian on Google Home, which is not actually sold in Italy. This quite little addition to Assistant is the strongest indicator yet that Google Home devices are coming to the country. Officially, Google Home does not show up as a supported country in any of the Google support documentation which isn’t surprising. Google only releases Home in countries where the language is supported in Assistant. Since it is just now rolling out, and early reports indicate some limitations, it is likely going to be a few more days or weeks before Italians can order a Home in country. Early reports indicate that some things like Routines and home automation features of Google Assistant through Google Home are not working yet. That could simply mean that Google is still in the process of enabling them, not that they won’t get there eventually. 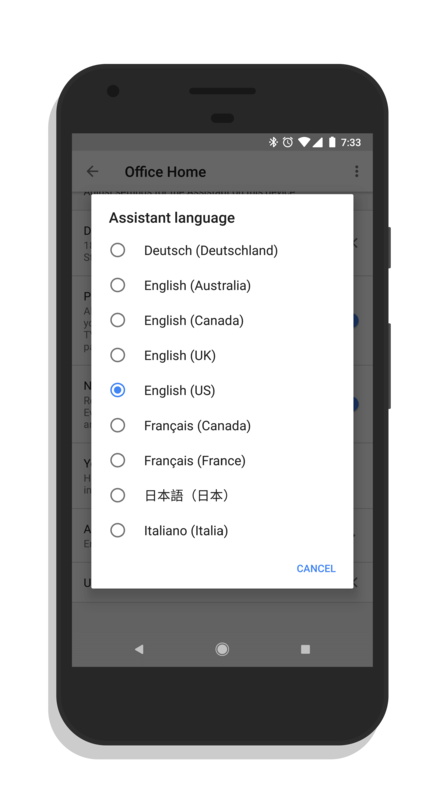 If you want to try it out, you can go to the Google Assistant app on your phone, go to the device you want to enable, then select Assistant Language. There you will see Italian as an option.